A private wine cellar of Seychelles-leading proportions and variety. A selection of over 300 vintages from the worlds most revered vineyards and a sommelier picked selection of unique, rare and ultra-rare vintages. The MAIA Wine List includes exclusive and rare vintages of Grand Cru from Burgundy and Bordeaux First Growth, as well as varietals from modern and avant-garde wine makers from around the World. A showcase of wine favourites are included in MAIA’s Beyond All Inclusive offering, but for those that wish, the wine list includes exceptional bottles available to purchase. The full wine list is available here. For requests beyond the already-exceptional, we look forward to your contact before your arrival. Wines at MAIA have been selected by our sommelier team. Meet our team and learn more about their selections. Pairing perfectly with the bright and welcoming aesthetic of MAIA’s wine room, our new Head Sommelier, Anna Lind brings her enthusiasm and experience for wine to the resort. From the Grenache and Syrah of the Rhône Valley, to the full bodied Pinotages and zesty whites of South Africa’s most exciting new wineries, Anna invites guests to experience a new chapter in MAIA’s wine journey. 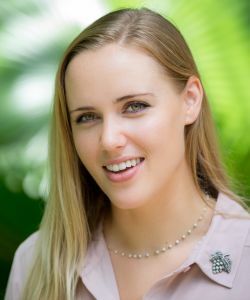 Despite being raised in California’s winelands, Anna’s oenology education began only after realising that her fascination with human behaviour (she studied psychology at the University of Iowa) was second to her love for wine. After working and learning at SoCal’s Orange Coast Winery, Anna moved to France to study under Master Sommelier Franck Ramage at Paris’ inimitable Le Cordon Bleu. Her time in France took her from the underground tunnels of Dom Perignon to candlelit tasting in the hallowed barrel room of Chateau Lafite-Rothschild, and from hands-on harvesting, to wine swirling with Queen Elizabeth II’s personal wine cellar adviser, Jancis Robinson. As one of the best known wine experts in one of the world’s greatest wine regions, Miguel Chan brings his wine love to the MAIA experience. A certified member of the Court of Master Sommeliers, as well as a Wine Locations Specialist with distinctions from the Instituto dos Vinhos do Douro e Porto of Portugal and the Comité Interprofessionnel du Vin de Champagne of France; Miguel’s selection is a promise of the finest sparkling wine, racy whites and delicate reds, as well as fine digestifs. 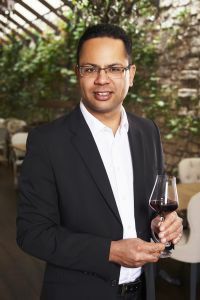 His Mauritian history and heritage ensures an appreciation for wine in a tropical island setting that enhances the Wine List.